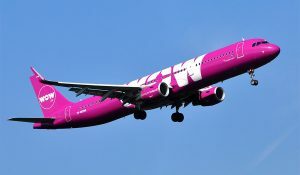 Low-cost Airlines are flying high. Here are my top 5 budget airlines that I have personally experienced. 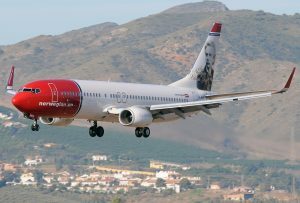 Norwegian is slowly but surely setting up shop all around the world, flying to 126+ cities, including, routes to New York; Fort Lauderdale and Orlando, FL; and a handful of West Coast cities including Oakland, San Francisco, Los Angeles and Seattle. 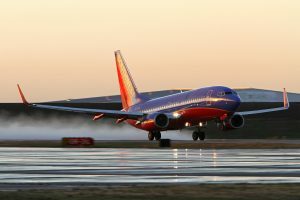 Its new planes have free Wi-Fi and larger overhead bins. One thing I really loved about Norwegian is that their windows adjusted to your biological clock to combat jet lag. Main Hubs: Oslo, Stockholm, Copenhagen, London Gatwick. Iceland’s only budget airline announced plans to expand to the U.S. with transatlantic flights to Boston and Baltimore beginning in March and June 2015, respectively. Newer routes include Pittsburgh, Miami, San Francisco, St. Louis, Detroit and Dallas. The for-purchase food and beverage menu includes Starbucks hot chocolate which is a neat perk. I expect even more cheap flights from WOW in the near future. 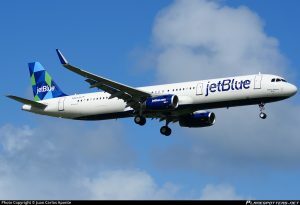 As of this year, JetBlue serves 101 destinations in the U.S., Mexico, the Caribbean, Central America and South America. The best part about flying JetBlue is JetBlue offers main cabin seating across its fleet. In the main cabin, flyers enjoy leather seats, the most legroom among U.S domestic carriers, free gate to gate wi-fi, free inflight entertainment with DIRECTV and Sirius XM Radio as well as unlimited beverages and snacks. The customer service is continuously rated among the best in the world. Their unique open seating boarding procedure is another thing that makes this airline stand out. You will receive a group when you check-in for the flight and after your group is called, stand in line and choose any seat you want. Your 1st bag also flies free, and your biggest decision all day will be choosing between the window or aisle seat. Allegiant Air has been an unknown for quite some time. This is all changing pretty quickly as the airlines plans to set up shop in Denver and Newark. 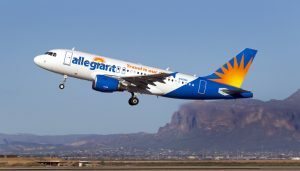 Allegiant Air keeps costs very cheap by having low frequency routes to secondary airports. You should be seeing more and more of this airlines as they beef up their marketing and advertising. Some of the cheapest flights I have ever come across have been through Allegiant Air.